What is DTI, and why is it important? If you are seeking a mortgage loan or major financing, you may have heard the term DTI used. This is your Debt-to-Income ratio and it can affect your eligibility for loans. The ratio is determined by dividing your total monthly debt payments by your total monthly income after taxes and deductions. Lenders prefer your DTI to be around 43-47% max. This tells lenders you are not that great of a risk for defaulting on the loan. Loan officers are not the only people who should care about this number though. 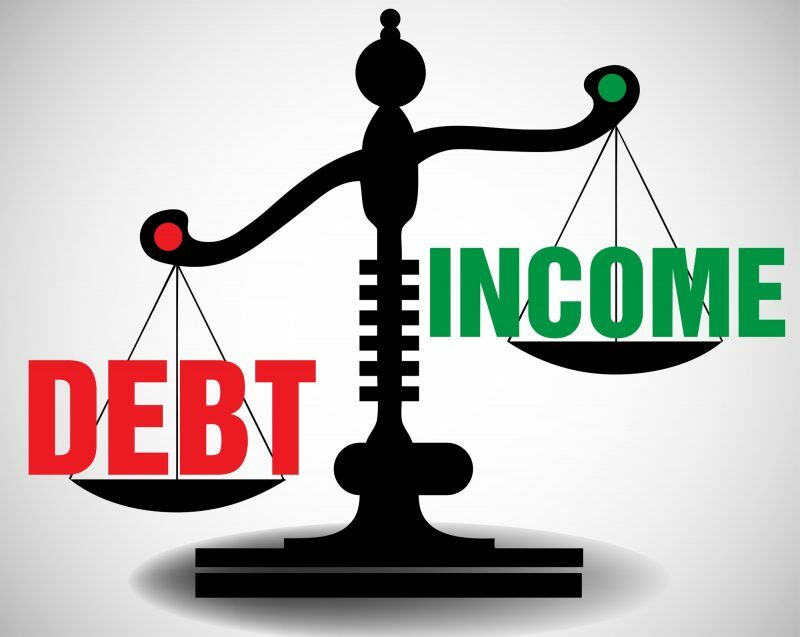 With more debt comes more stress and pressure to earn in order to pay debtors. The higher your ratio, the more difficult you will find it to pay your monthly expenses, especially if you have a pay cut or increase in expenses. For instance, unexpected medical bills can easily put a burden on your finances. It is crucial to have a lower DTI ratio to keep up with your creditors and easily qualify for loans. You should be familiar with your DTI ratio. It is easy to calculate and will keep you informed when trying to lower it, if feasible. How do you lower ratio? Reduce your credit card balances to create lower minimum payments and use extra funds to pay down debt rather than purchasing more things. There are various ways to do this, including eliminating unneeded expenses to increase your cash flow and making higher payments on your credit cards. Your ratio may be presumably high if you are currently struggling with your monthly expenses. No one should have to face the burdens of debt alone. Let out credit experts at PCS Debt Relief help you find a solution that works for you to reduce your monthly debt and increase your financial security. With zero obligations to enroll in any programs, we are here to help you every step of the way. Call us at (636) 209-4481 for a free consultation. We look forward to helping you achieve your financial goals!